Greetings all! Welcome to the September 2015 Santafish Monthly! Please enjoy. (Then again, we really don't care). With this month came a new quest called The Light Within. It revolves around bringing the powerful Elven goddess Seren back from her shattered state. The quest involves visiting the Elven homeworld and also a few mystery guests. The quest is noteworthy for the rewards. There are seven new prayers added to the ancient curses prayer book and fifteen spells added to the ancient spellbook. In some ways this quest can be seen as an extension of Desert Treasure and the Temple at Senntisten, where the ancient books are unlocked. The new spells and prayers help with combat but also skilling, allowing for significant boosts to experience gained (at the price of a hefty prayer drain). At the same time the requirements for this quest are difficult, so you won't be easily able to get these prayers and spells. Wait a minute, that's not the right Cerberus is it? No wait, here is the right one! 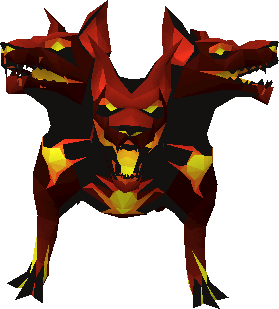 Cerberus, based on the three-headed underworld guardian in Greek Mythology, is the boss version of the hellhound. 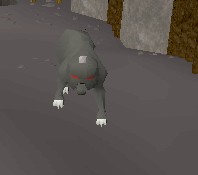 Cerberus is level 318 and lives below the hellhound section of the Taverley dungeon. He has several attacks, including summoning souls from the underworld to aid him in the fight. Cerberus drops several crystals which can be added to various boots (dragon, ranger, and infinity) to provide the best-in-slot footwear for all three combat styles. Cerberus also drops a smouldering stone, which can be added to the dragon pickaxe or hatchet for an inferno adze equivalent. This past month, our long time helper and ranked member Micael Fatia decided to step down from his positions here at Sal's. Micael cited the stress of having responsibilities here on Sal's as the reason for leaving. He has acted as a content editor on the site and a clan chat moderator. He was also a distinguished member for a three-year period. We were all sad to see him leave but we think it's fair to say he paid his dues for long enough. 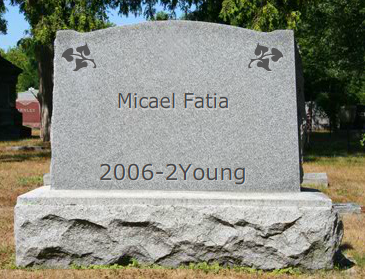 Micael Fatia plans to stay somewhat active on the forums, so if you ever want to talk Ronaldo with him he's still available! Micael plans to eventually get back into RuneScape and possibly join an Old School RuneScape clan. Without Micael, a new deputy owner has been found. Bwauder will be promoted to this position, joining Sobend who already holds this position. To reiterate, the deputy owner position is not a position of power or authority but in place to prevent a hacker from taking over the clan. BEFORE WE GO BATSHIZZLE ABOUT 3D PRINTING, CAN WE ACTUALLY FIX 2D PRINTING FIRST?? KTHX. Let's talk about The Light Within. Or is it Within the Light? Light Within the? Jagex's first mistake was to title this quest far too similarly to a quest that already exists. People are inevitably going to be confused. I realize this similarity is intentional, but Within the Light wasn't good enough to be paid homage. Perhaps it's a bigger homage to the moderator who developed it, Mod Chris L. Chris L was a popular moderator with players and I'm guessing around the office, but nobody knows or cares who developed Within the Light. It's easily forgettable and on Chris L's achievement list it ranks somewhere near the bottom. Jagex should have come up with a new name instead of referencing another quest that is not nearly important as this one. Onto the quest itself. The first section begins with a travel back to the end of the God Wars with a conversation with the waking Guthix. This confrontation with Guthix in the past was expected to happen sometime, but it was always expected that it would happen in a stand-alone quest. This was supported by the Balance Elemental speech from While Guthix Sleeps, where he states that he attended your funeral. It was assumed that when your character travels back in time, the Guthix/Balance Elemental story would happen in the same quest because they are related. This is apparently not the case. In The Light Within, the meeting feels a bit forced. You think to yourself, "If I was going to ask somebody a question about elves, why would I ask Guthix?" Not to mention the meeting with Guthix leaves the Balance Elemental origin hanging. The second part deals with finding shards of Seren held by the elders of Prifddinas. It's more of the same "find each secret artifact!" quest device, except this time there is a bit of unnecessary grinding to make sure the quest is somewhat long. The third part is visiting the Elven world Tarddiad (which, by the way, is one of the worst names you could come up with for a world). Again, it's nothing but grinding (except this time there's a glitzy new landscape to look at!). Then the puzzle. Ahh yes, the most controversial part of the quest. Considering the quest is a grandmaster and contains no necessary combat, it can be expected that there would be a difficult puzzle in substitute of a difficult boss fight. Apparently this was too much for some people and the puzzle was heavily criticized for being random. The problem is that it wasn't random. Puzzles are never truly random in RuneScape. There are good reasons not to code a random puzzle considering coding a random puzzle would be far more difficult than coding a non-random one. If you think a puzzle is random, you're wrong. It turns out there is a noticeable pattern which more or less makes it a three-piece puzzle. It still wasn't easy after that, but at least it's manageable. The great thing about this puzzle is that if you wanted to use a guide for it, the puzzle was easy and only took a few minutes. It wasn't like the Mourning Ends Part II puzzle which had you running around doing film stunts, defensive maneuvers, and mirror turning for three hours. If you didn't want to use a guide, it was a challenge but surmountable and will leave you satisfied with yourself after completion. This is exactly how puzzles should be done in this game. Plague's End could have learned much from this quest. In the end, it's about what we were expecting. It's in a similar vein to Fate of the Gods, but it's not as good. It doesn't pretend to be either. I'll give it a B. We'd like to apologize for something a few people noticed. There has been an issue with making the news appear on the front page of the site's news feed. We've temporarily found a solution, but it's still messing up our news archives. Sorry. Controversial changes took place August 31st to the D&D Wilderness Warbands. The major change was that players can now attack other players looting tents. This is how it was originally but it was changed last summer to how it was before this update. The update hurts "looters," in particular solo looters, and helps "PKers." The thing people are really talking about isn't the update but how the change was brought. A short while ago a group of frequent players of the D&D approached a Jagex moderator about making several changes due to a decreasing activity in this D&D. These players were PKers, which made them fairly biased. Some of their proposed changes were rejected, but many were added into the game. The meeting between the Jagex moderator and the PKers was not secret, but it wasn't open to the public. It's unclear whether anyone could go in and voice their opinions, and if they could then they probably didn't know about it. It's nice to see Jagex going directly to the community for ideas, but if you're only going to listen to one side of an argument then you're going to make one sided changes. And unsurprisingly the updates completely favor PKers. There are several issues. One, it's unclear whether the update is going to help or hurt this minigame. Love them or hate them, looters are the reasons the PKers exist. If you discourage people from looting, you're going to get less looters and less PKing. Second, this hurts the solo players of this minigame. If you think it was tough enough to survive an onslaught of 30 people in July, try it in September. Third, this preferential treatment towards one group is something to avoid. I think this is mainly an honest oversight by the RS3 team, and it's not nearly as bad as on OSRS (see streamers), but if you continue on this dangerous path you could find yourself with a disgruntled player base. Do changes need to be made to warbands? Yes. Were these changes a step in the right direction? Maybe, but you need to throw in something to help the looters. Warbands wasn't meant to be abused by unarmed looters, but it wasn't meant to be monopolized by large friend chats either. Isthay ustjay inyay: Anmay endsspay ootay uchmay imetay eadingray upidstay ecretsay essagesmay. What's your opinion the Santafish Monthly? Now is your time to be heard. Check out the new site poll to vote on whether you like the SFM or not. And as always, you can send your profanity-laden opinions on the SFM to moderators and administrators on the forum (preferably Yuanrang). Other: No one. Thanks for the help you morons!! !